LANZAROTE, CANARY ISLANDS/SPAIN, 06 November 2018 - The most anticipated event of the 2018 Melges 40 season officially gets underway on Thursday, November 8. With all the right ingredients in place, the 2018 Melges 40 Lanzarote Grand Prix will be a guaranteed racing showdown. After three events (a season that commenced in Palma de Mallorca last May), three very capable teams are positioned at the top, but only one can take home the crown. Leading the 2018 ranking is Sweden's INGA helmed by owner Richard Goransson (Cameron Appleton, tactician). 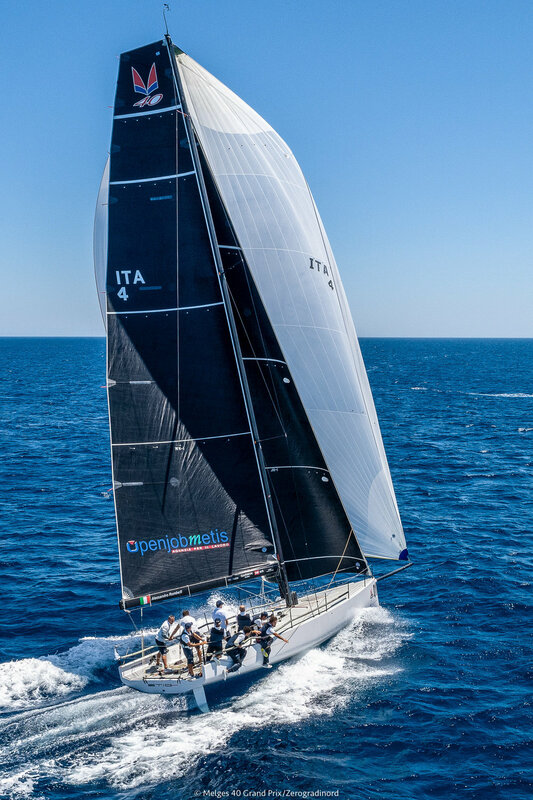 For most of the season, Goransson dominated with great success at the Class' first two events in Palma, then went on to win the One Ocean Grand Prix hosted by Yacht Club Costa Smeralda this past July. All things changed at Copa del Rey as Alessandro Rombelli's STIG (Francesco Bruni, tactician) brought Gorannson's march on success to a screeching halt. After a tough start to the season, Rombelli managed to change gears in Palma and in one fell swoop, closed the gap that separated him from leader. He is second overall, dead even in points with Goransson. Seated third and also very much in contention to win the 2018 title is Japan's Yukihiro Ishida sailing SIKON (Manu Weiller, tactician). They are the only team standing on the podium lacking a first place event win, but if he can capture it in Lanzarote, it could spell victory for him on the Melges 40 circuit. Valentin Zavadnikov racing DYNAMIQ SYNERGY (Michele Ivaldi, tactician) will be looking to score his first event win in the Melges 40 Class, a result that has eluded him on several occasions. The same goal applies to Italy's Andrea Lacorte aboard VITAMINA CETILAR (Gabriele Benussi, tactician). Although 2018 has him marked as a rookie, he and his team, in a very short period of time have proven they are on an upswing by winning the final race at Copa del Rey last August. Ten races are scheduled on the waters of Arrecife, starting on Thursday and completing on Saturday, November 10. The Melges 40 Grand Prix circuit counts on the support of Helly Hansen, Garmin Marine, and Melges Europe. Melges 40 Grand Prix has signed and adopts the code of ethics of the Charta Smeralda strongly promoting the values of One Ocean Foundation. LANZAROTE, CANARY ISLANDS/SPAIN, 06 September 2018 - The Melges 40 Class is proud to announce that the final event and location for the 2018 Grand Prix circuit will be Calero Marinas | Marina Lanzarote, Canary Islands, Spain. 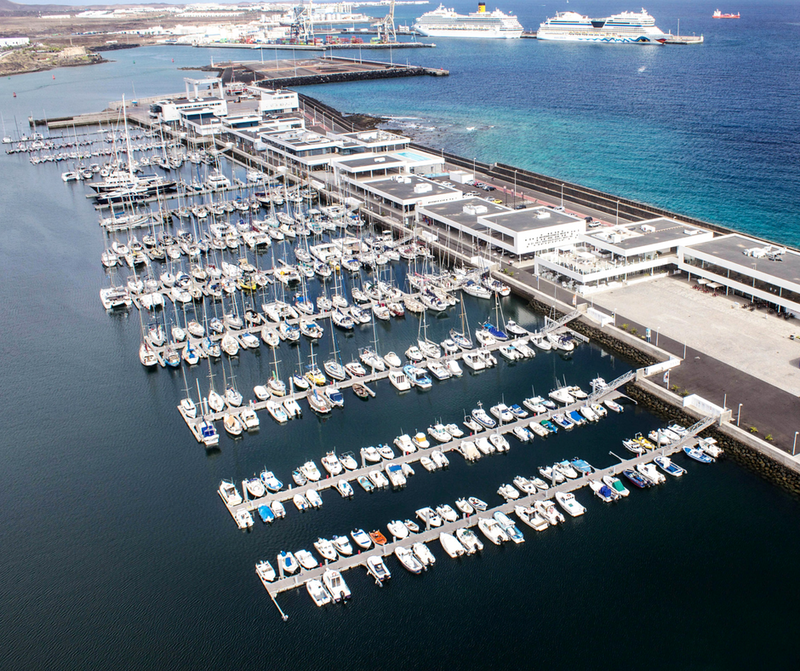 Marina Lanzarote and the onsite Calero Marinas Shipyard, conveniently situated in the island's capital, Arrecife, will serve as the teams' logistics headquarters as they prepare for this year’s culminating event, scheduled to take place from November 8-11, 2018. 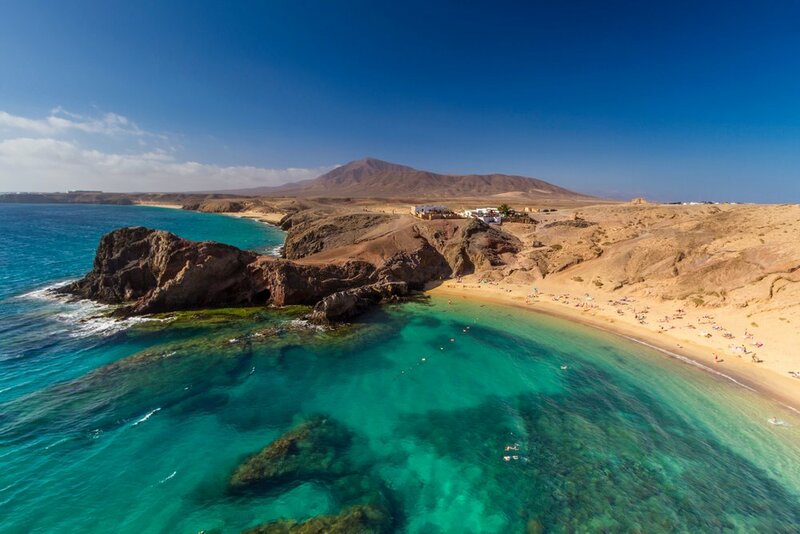 The Real Club Náutico de Arrecife will co-organise the racing, set to take centre stage right in front of the town and has cordially invited participants to enjoy their comfortable club facilities during the events. With the Real Club Nautico de Palma events complete, the Melges 40s are in transit, direct to Lanzarote. Once arrived, the entire Melges 40 fleet will settle in for the winter as the weather, conditions, high-profile facilities and services guaranteed by Calero Marinas are also ideal for off-season training sessions. 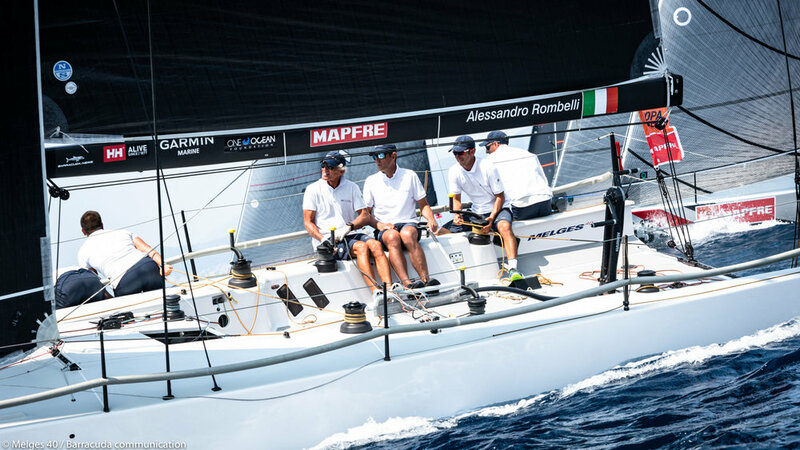 The Lanzarote Melges 40 Grand Prix marks the final act of the 2018 season, which started last May as part of PalmaVela, then continued with the One Ocean Grand Prix in Porto Cervo, and the third event at Copa del Rey Mapfre 2018. Lanzarote has also been selected to host the first two Melges 40 Grand Prix events of 2019 — a warm-up on January 24-27, and a season opener on March 21-24. (4 August 2018 / Palma de Mallorca, Spain) - After eleven races, Alessandro Rombelli’s STIG with Francesco Bruni as tactician, and crew members Daniele Fiaschi, Luca Faravelli, Iztok Knafelc, Pietro Mantovani, Pierluigi De Felice, and Giorgio, and Martino Tortarolo are 2018 Copa del Rey Mapfre Champions! Rombelli started the day five points ahead of Yukihiro Ishida’s SIKON (Manu Weiller, tactician), and as he has managed in the past, he successfully found the right edge to keep his team in the lead to take the win, despite the aggressive attacks from his best opponents. The last day of Copa del Rey Mapfre, hosted by Real Club Nautico de Palma commenced with Ishida winning Race Ten keeping all hopes alive that the winner could still be decided on the final race. Rombelli came a close second, followed by Andrea Lacorte’s VITAMINA-CETILAR (Alberto Bolzan, tactician) in third. Race Eleven saw the bow of Valentin Zavadnikov’s DYNAMIQ-SYNERGY SAILING TEAM (Kelvin Harrap, tactician) across the finish line in first to complete the event. Rombelli clinched the Copa del Rey Mapfre title by taking second place. Finishing in third was Richard Goransson’s INGA, who up until now had dominated every Melges 40 event this season. Lacorte completes the podium at the 37th edition of Copa del Rey Mapfre, a direct result of hardwork and perseverance by a team that is constantly growing and improving with each passing Melges 40 Grand Prix event. Goransson remains the leader of the 2018 ranking by virtue, yet tied in equal points with Rombelli. The last round of competition for the Melges 40 in 2018 is scheduled for November 8-11. (3 August 2018 / Palma de Mallorca, Spain) - The third day of racing for the Melges 40 fleet at Copa del Rey Mapfre 2018 may have been a decisive one, mainly in favor of overnight leader Alessandro Rombelli’s STIG (Francesco Bruni, tactician). Today demonstrated perfectly that the competitive aspects of the Melges 40 fleet is equally distributed, making it almost impossible for any team to effectively defend what is considered by many a comfortable lead against their opponents. That said, Rombelli was perceived as the prey, with Yukihiro Ishida’s SIKON (Manu Weiller, tactician) clearly back in the hunt after collecting two out of three bullets available today, successfully moving him up the charts and into second place overall. Rombelli is a true champion and showing great strength and pride, he raised his hat to win the final race of the day (Race Nine). The final day of racing for the third event of the 2018 Melges 40 Grand Prix circuit held in conjunction with Copa del Rey Mapfre hosted by Real Club Nautico de Palma takes place on Saturday, August 4.